We’re off to the big smoke…Wedding Fever! So, Sunday sees us heading up the motorway to share our wares with some lovely Brides & Grooms to be! 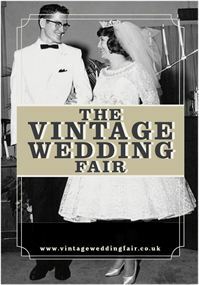 We are adventuring to Chiswick Town Hall for Discover Vintage’s ‘Vintage Wedding Fair’….tickets are still available for just £5 per person. We are super excited to have a stall at this wonderful fair where we will advertise our various wedding packages and will also be performing at regular intervals throughout the day! Spending a Sunday surrounded by hope, excitement, pretty trinkets and old things….what more could we possibly want! Sooo lovely to meet you today. You were fantastic! I am without doubt a Uke convert… just need to master it so i can play from Elsie the vintage ice cream vans window!